In our analytics services for clients we’ve been playing with heatmapping recently, where you take inbound phone numbers, identify the originating callers, and map them to ZIP Codes to see where demand is coming from. Pretty basic idea and yet most marketers don’t do this — you pay big bucks for advertising, why not see where the responses originate? Concentrations in demand can be amazing. 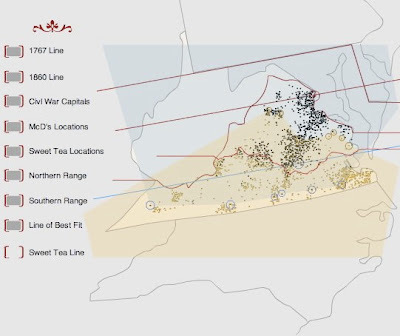 Here is an old study via StrangeMaps showing the sales of sweet tea in Virginia. The dots on the map show locations of McDonald’s stores across the state in 2004; light dots show the heavy sales of sweet tea, loved by consumers below the Mason-Dixon line. Stores up north don’t even sell sweet tea. A small bit of information invaluable to anyone trying to carve out share in the U.S. tea market. Find your customers and then map them. The results may surprise you. If you’re traveling to Europe this winter, check out Eupedia‘s map guides to social laws, population density, religion, language, ethnicities, even prevalence of eye color, blond hair or cannabis. 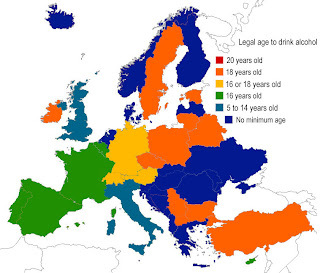 It’s a fascinating resource for seeing how different cultures behave differently … for example, the legal age to drink alcohol (above). 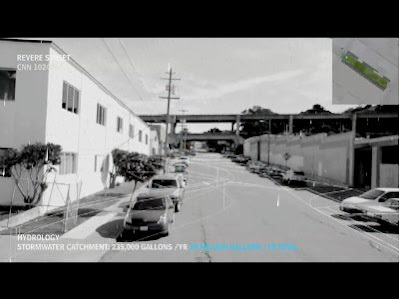 Thanks Strangemaps. 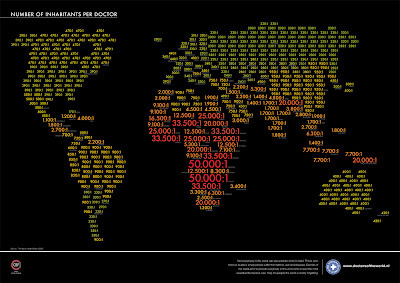 Brilliant poster by creative shop EuroRSCG of Amsterdam, Netherlands, showing a world map of patient-to-doctor ratios in each country. The mission was to educate the Dutch people about how fortunate they are in health care, plus raise awareness about the urgent needs elsewhere. Michael Moore would appreciate the top-performing country in terms of doctors per patient population: Cuba. World Freedom Atlas gives us more groovy data views online, this time of religion, politics, and human rights. Edward Tufte would love this. Another example of that old, stodgy software in your plastic PC moving into the web window. So many ways to cut demo data, but we love this one. 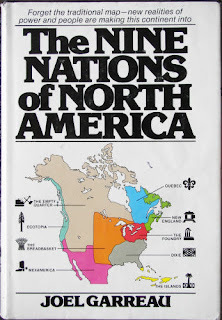 Back in 1981 Joel Garreau sliced North America into the politics of place. 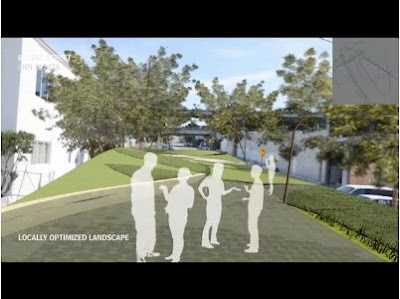 Seems he thought people should be segmented by commonalities of culture, politics, local industry, and geographic features such as watersheds. In the U.S., it means media planners should consider that consumers in New England are very different from Dixie vs. “the breadbasket” and “MexAmerica.” Might explain those strange election results every few years. Still doesn’t explain why the creatives next door wear funny sneakers.